'Why the pad Amy?' I hear you ask. Why, in honour of National Stationery Week, of course. I've always been a stationery geek, I used to save up my pocket money when I was younger so that I could buy a nice new pad, then I'd just sit and stroke the softness of the new pages for a while until I thought of something of value to write in it. Is that something I should have confessed to? Probably not. 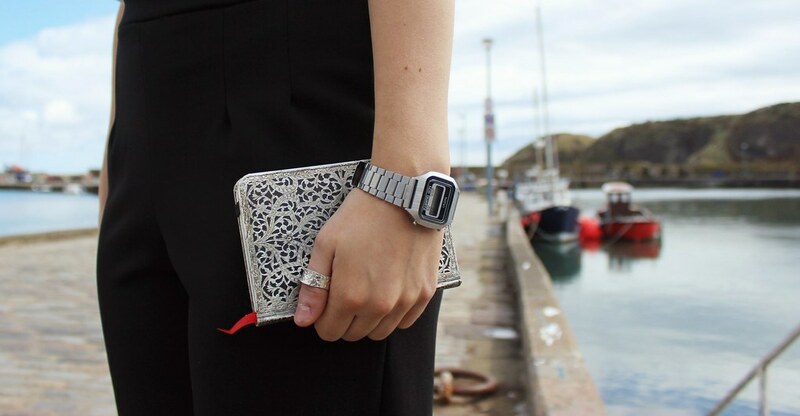 Anyway, the pad I'm holding is the shadow classic mini from Paperblank's Silver Filigree Collection. They've got a whole range of beautiful journals on there - when I first went on the website I was in stationary heaven, the 8 year old in me was desperate to go crazy and buy them all. Grown-up me finally settled on the Amy Winehouse journal as my next purchase, but I can't promise I won't end up buying one from each of the different ranges. I'll need to wait until my dissertation's out the way though, as it's caused me to develop a profound desire to burn everything I come into contact with that's related to writing. Speaking of said dissertation (sicked in my mouth a little bit even at the word) I think that's why I've taken to dressing like a child - who needs to worry about the world when you're wearing dungarees? These photos are so perfect - as well as that outfit, I think this is my favourite one so far! Love the top & jewellery! Ha thats funny - I'm quite the stationary geek myself! Good luck with your dissertation! I adore your necklace bling! Best photo location ever? I think I need to move! I love your dungarees! Lovely outfit! Gorgeous outfit, LOVE your top and necklaces! Well aren't you just stunning! Love so much your dungaree!!!! I'm not quite as keen on pads but I have a soft spot for pens. Great outfit, I love the dungarees! I discovered it was national stationary week after buying myself a notebook I didn't need yesterday. Perfect excuse! I had a bit of an obsession when I was younger too haha. 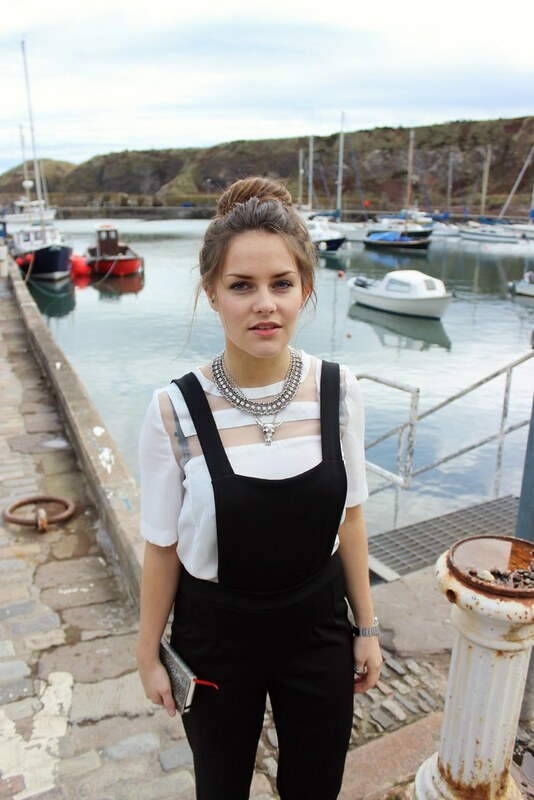 Your blog is definitely one of my absolute favourites right now, loving this outfit and your hair looks great! I always think it's hard to pull off the dungaree look but you've nailed it, I especially like that blouse you've paired it with. I'm a sucker for stationary. I loved buying all the bits every year starting back to class. I love this post and your blog is amazing, following you now. How about a follow back on GFC if you wouldn't mind?